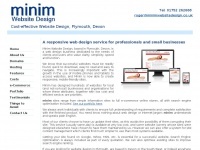 Quality Website Design - based near Plymouth UK - Local, Professional, Affordable web design, development and search-engine optimisation and much more. Operating all over Devon and Cornwall from Falmouth to Exeter, and Bideford, through Tavistock, Totnes, Plymouth and the South Hams. Call 01752 873181. 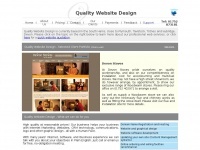 Quality Website Design is specified as the websites creator. 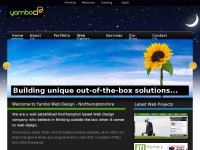 In total 10 links were found which refer to Qualitywebs.co.uk. The most used keywords in text links are Quality Website Design and Quality. 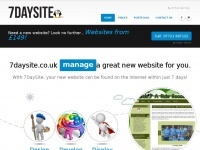 Individual words like Website, Design and Theme are frequently used in text links from other websites. The most important link sources for this website are Ashburtonphysio.co.uk and Cannonbars.co.uk. 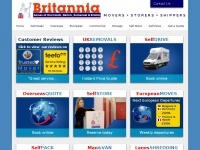 The homepage of Qualitywebs.co.uk and the subsite are most referenced by other websites. The table shows the most important links to Qualitywebs.co.uk. The table is sorted in descending order by importance. The table shows websites of Qualitywebs.co.uk, which are often linked by other websites and therefore they are classified as important content. 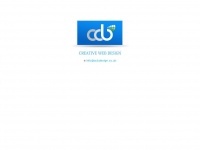 Acbdesign.co.uk - Plymouth web de­sign com­pany | web de­sig­ner | web­site ..